Parts costs — not labor rates — are the factor driving higher collision repair costs, Mitchell data released Tuesday indicates. The latest quarterly Industry Trends Report project from the estimating service examines the repair costs for new 2010-15 Toyota Camrys and Chevrolet Malibus between 2010 and 2015. 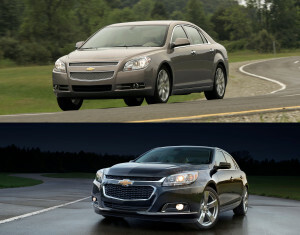 Overall, inflation-adjusted severity rose $140 for the Camry and $292 for the Malibu during that time. Though labor and paint and materials costs helped swell those Camry and Malibu tallies, the parts were the greater expense, researcher Greg Horn wrote. General Motors and Toyota have not yet responded to email requests for comment. By the 2015 model year, the average Camry repair order required 0.5 more parts, and the average parts bill was $112 higher than in 2010. (All 2010 figures adjusted for inflation). Meanwhile, Malibus needed 0.4 fewer parts — but the average overall parts tab was $239 higher. Horn observed that Chevrolet was among the more aggressive of the OEMs trying to cut bumper system components for easier factory assembly. “Yet despite using fewer components in bumper systems, which account for 72% of all repairable claims, collision repairs on Chevys continue to become more expensive,” wrote Horn, Mitchell’s vice president of industry relations. Collision repairers on average charged $52/hour, up $0.80 and took 0.2 hours longer to fix 2015 Camrys. For the 2015 Malibus, the average labor rate rose from $52.40 to $54.20 but the average labor time remained unchanged. Horn pegged some of the parts cost increases to newer options like headlights. “In many cases, the rising demand for trendy and more expensive headlights, like LED ‘halo’ lighting, drives cost up,” he wrote. Horn also speculated that for Chevrolet, and possibly other OEMs, the growth in average parts cost despite a reduction in parts quantity was fueled by the balance sheet. Horn offered solutions for collision repairers and insurers to compensate for these costs. He told repairers to be well-prepared for OEM procedures and to explain why parts costs are so high. “If you receive objections to rising costs, you can be prepared with an accurate explanation,” he wrote. But in some cases, particularly bumper assemblies, there might not be a trustworthy alternative to the OEM parts given the sensors relying on those parts. “By developing your teams’ expertise on bumper systems, you’ll be able to improve appraisal accuracy in the majority of claim to avoid supplementation and improve customer satisfaction overall,” he wrote. Still, cars are growing in technological and metallurgical complexity, and OEMs are requiring more components be replaced, rather than repaired. Thus, the cost of the OEM parts themselves might not be controllable by either repairer or insurer at that aftermarket stage. It might be a case where insurers are better equipped to control the costs before the fact through premiums — OEMs with a reputation as more expensive to repair and insure might lose market share to those who aren’t — rather than the dubious after-the-fact prospect of hoping a generic collision part is up to an modern OEM component.